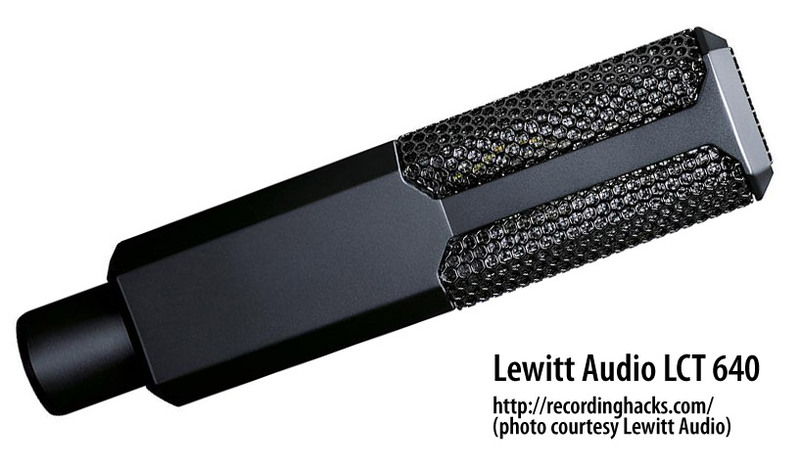 The Authentica LCT 640 is a large-diaphragm FET condenser from Lewitt. It is a multipattern design with a transformerless output and multiple pad and filter options. The capsule in the LCT 640 is a dual-diaphragm version of the capsule in the fixed-cardioid LCT 540. 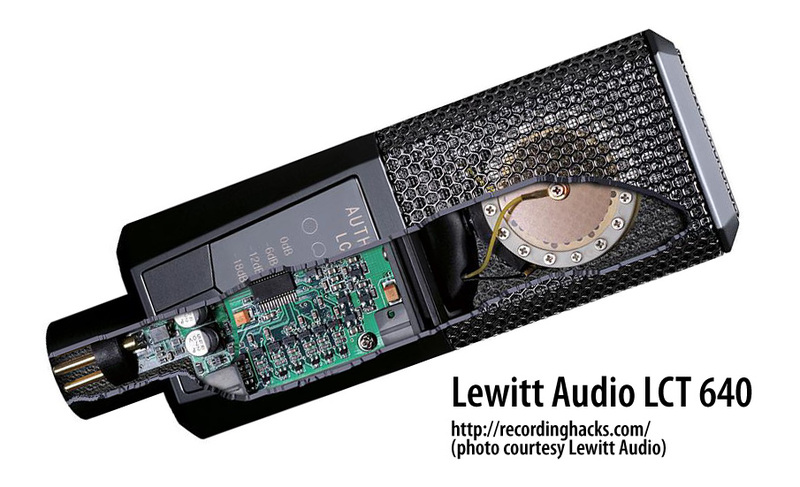 Both mics use a large-diaphragm design whose backplate drilling pattern closely resembles the Neumann K67. The diaphragm material is 4-micron Mylar, sputtered with gold. 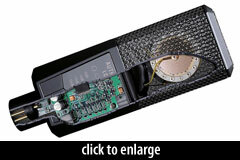 The active diaphragm area measures 25.4mm in diameter, within a 33mm capsule. Pattern control is provided by an electronic pushbutton switch reminiscent of the AKG C414; the mic provides Omni, Wide Cardioid, Cardioid, Hypercardioid, and Figure-8 patterns. A second pushbutton switch cycles through the four preattenuation pad options: 0dB, -6dB, -12dB, and -18dB. 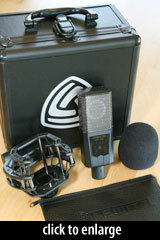 At -18dB, the mic’s max SPL (at 0.5% distortion) is 160dB, suitable for kick drums and loud brass. 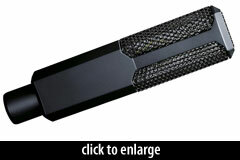 The currently-selected pattern, pad, and filter options are indicated by LED lights behind the microphone’s faceplate. The pushbuttons operate without causing audible clicks or pops through the signal chain. The transformerless amplifier circuit is very low-noise: 10dBA in Cardioid, 12dBA in Omni. 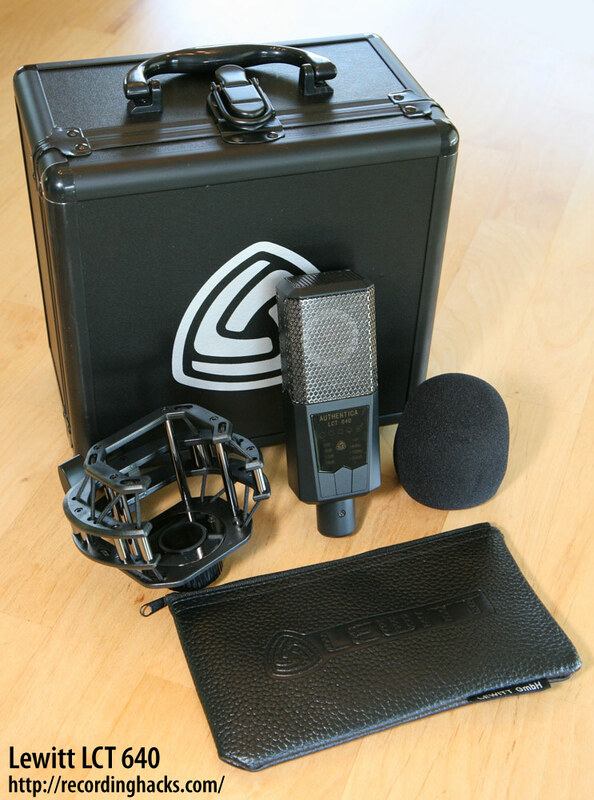 The mic ships with a shockmount (Lewitt p/n LCT 40 SHx), foam windscreen (p/n LCT 40 Wx), leather storage pouch (p/n DTP 40 Lb), and a foam-lined black aluminum flightcase.